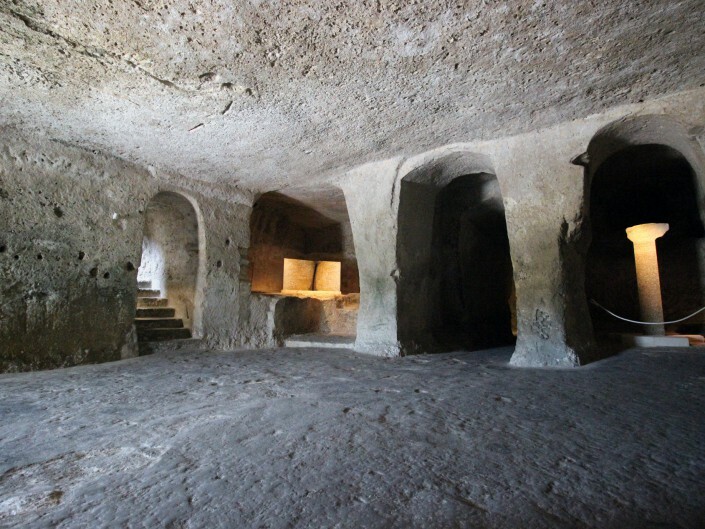 The Monastery, also completely carved out of the rock, was created starting in the 9th century, after which there were further expansions over the course of the centuries, testified to by the various phases of work. 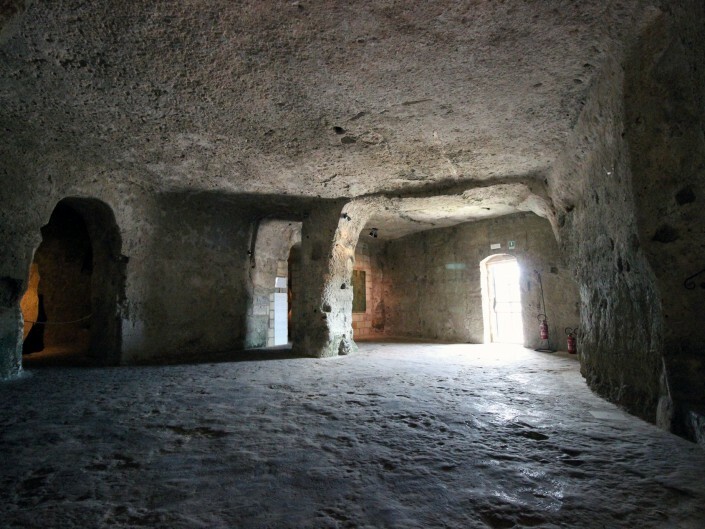 Created originally as a crypt, the space was later turned into a monastery, designed to temporarily accommodate a community of nuns from Accon. 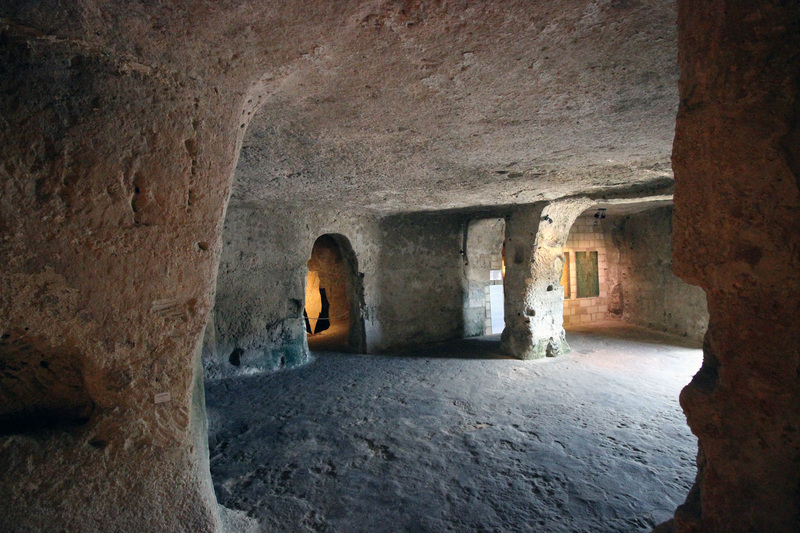 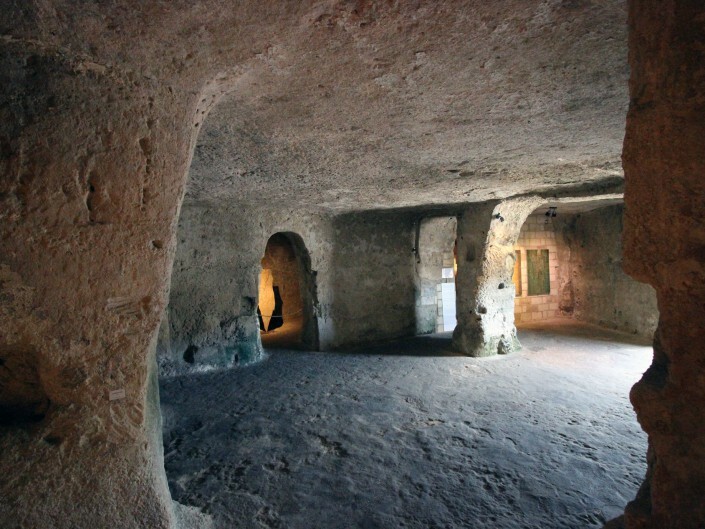 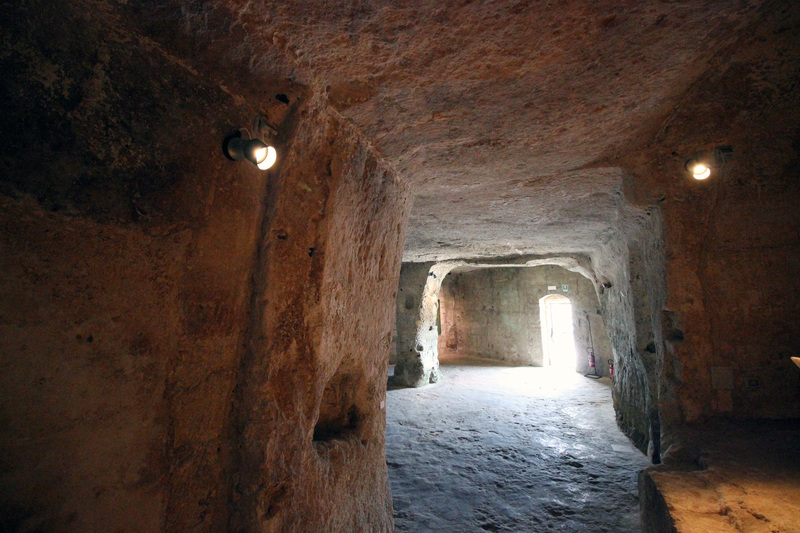 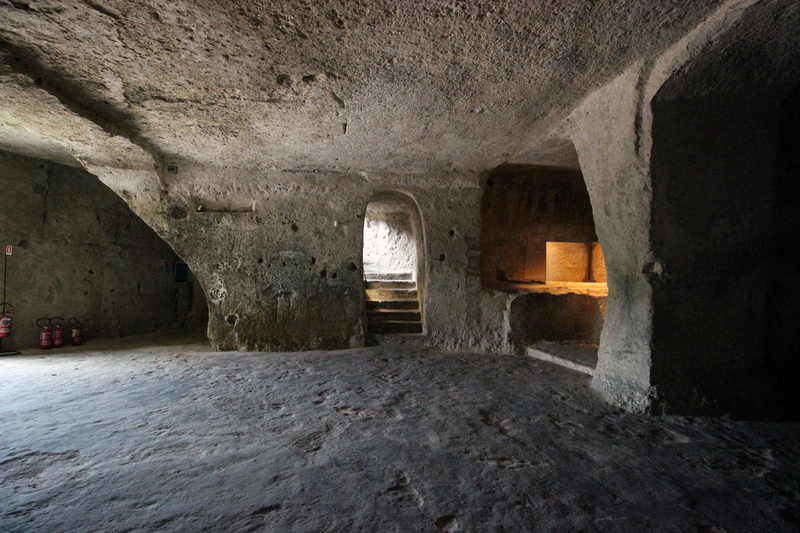 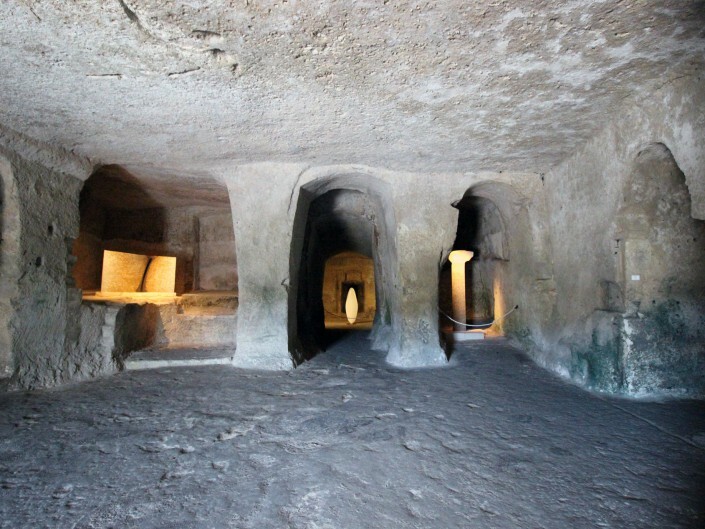 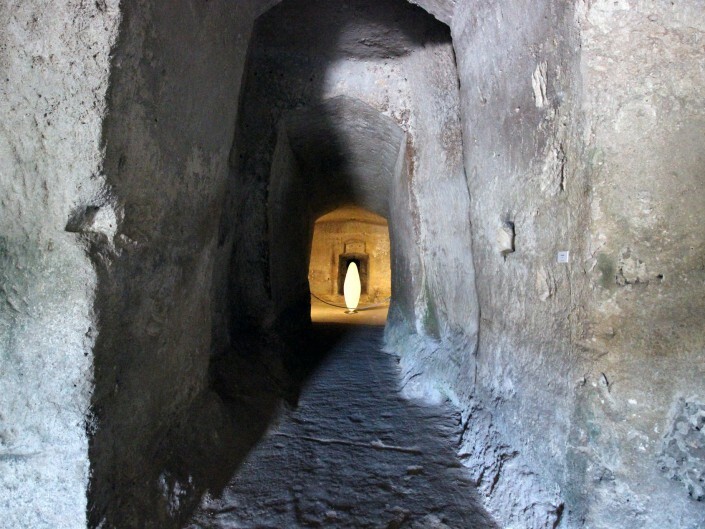 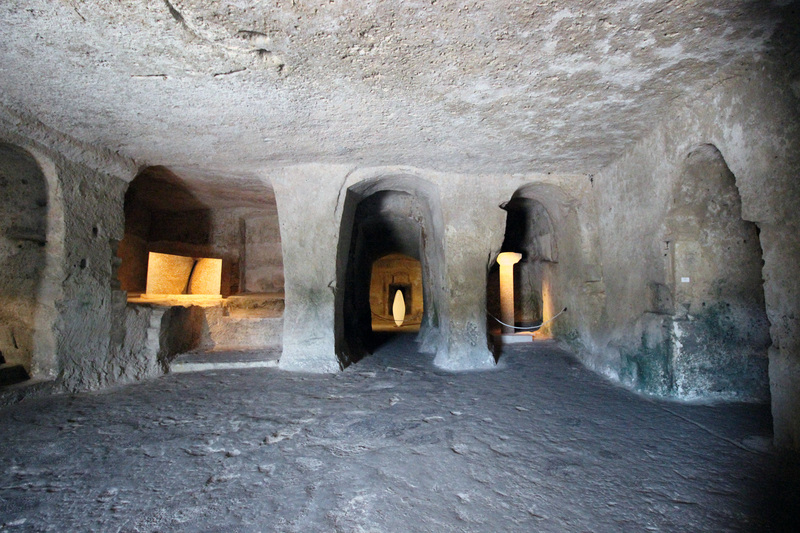 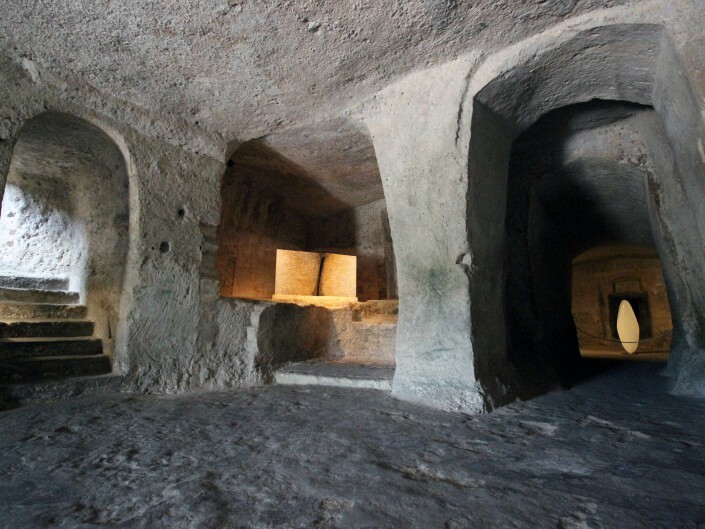 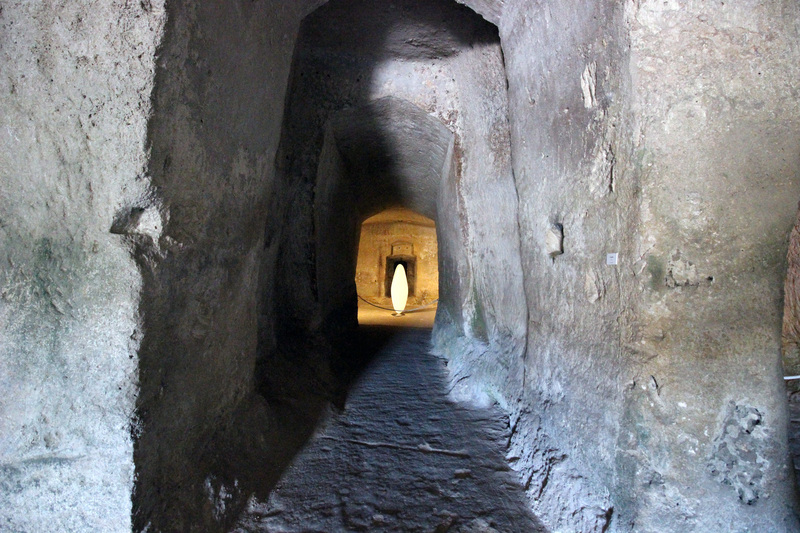 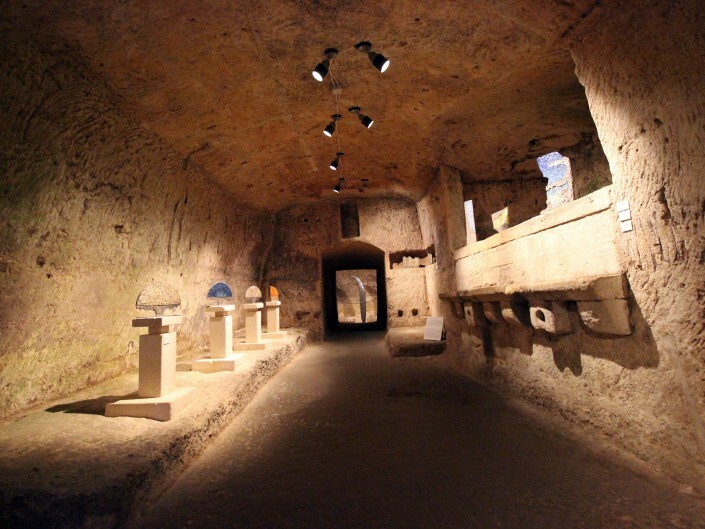 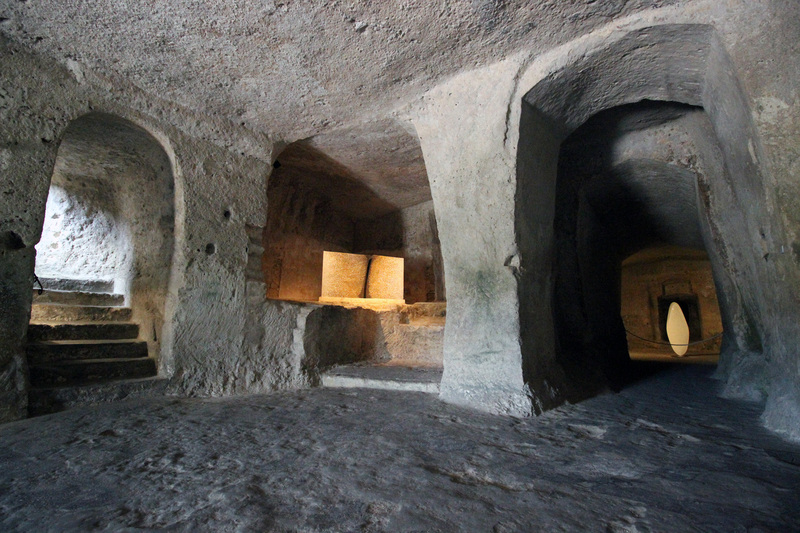 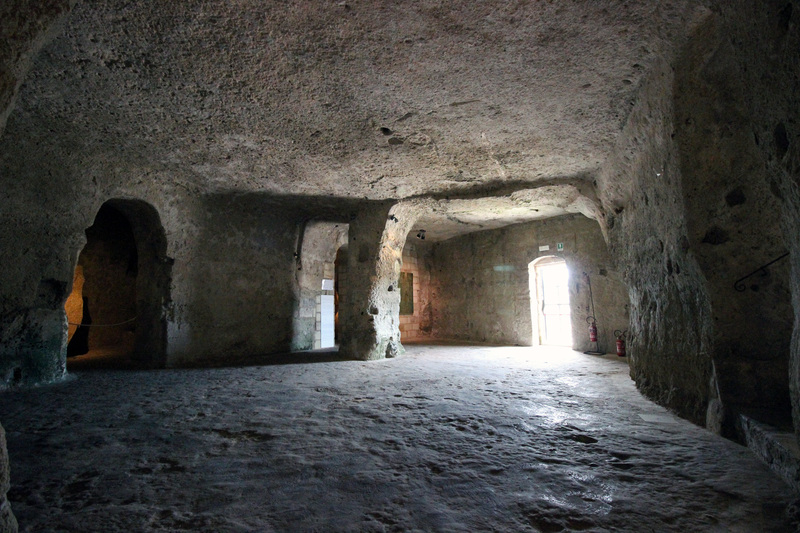 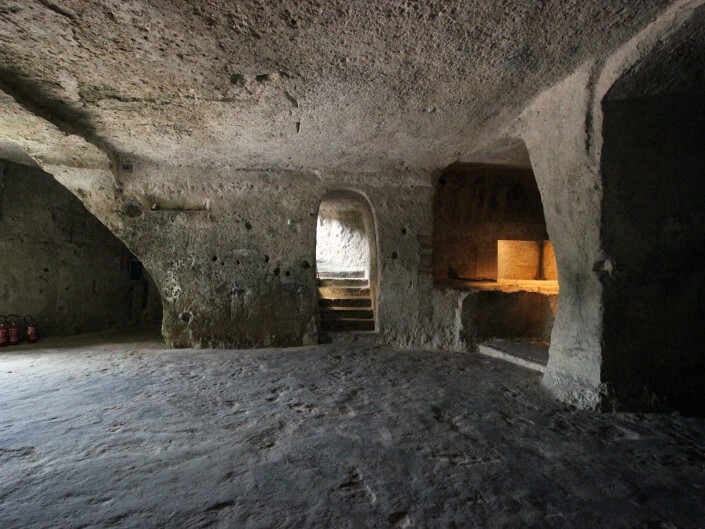 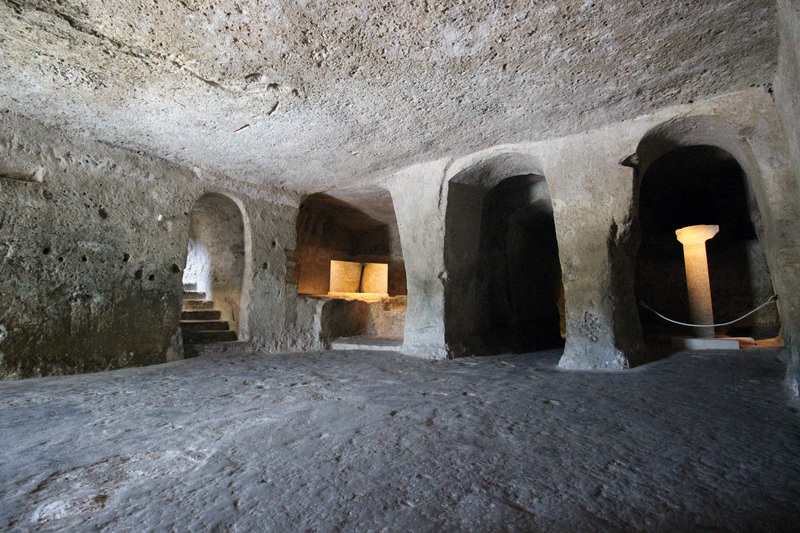 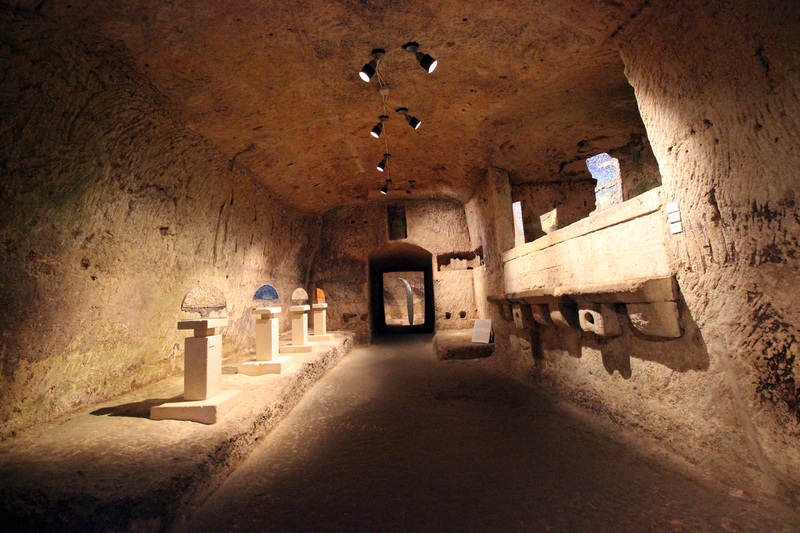 After being abandoned as a religious site, in the late 18th century these underground spaces were used by local farmers for storing hay, as a mill and for the making and storage of wine. 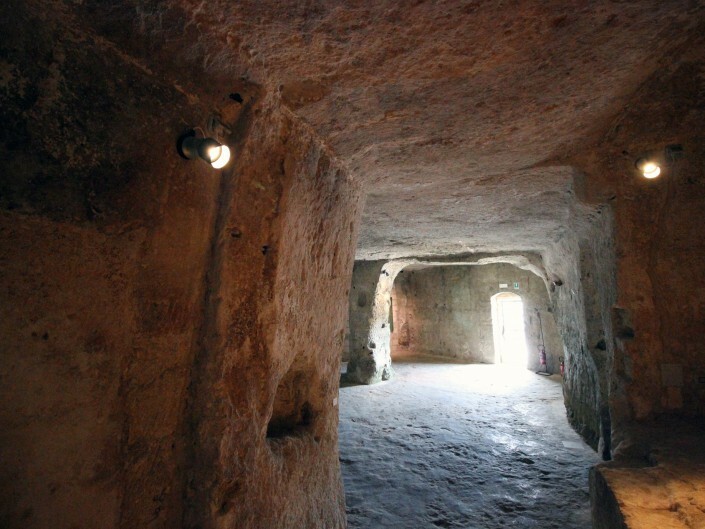 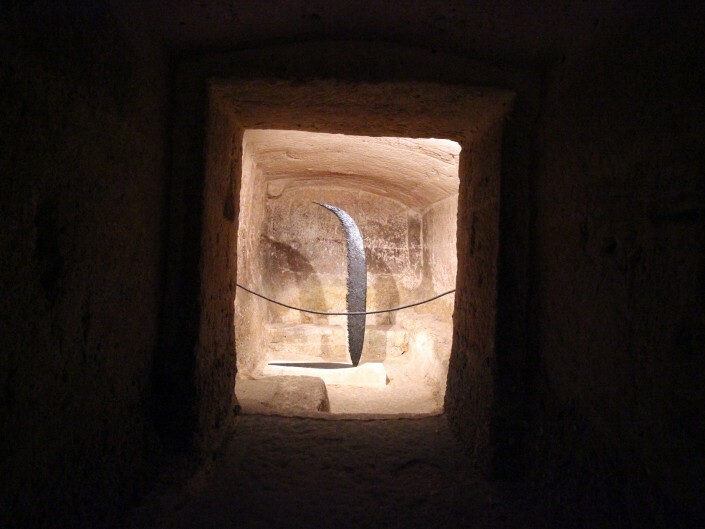 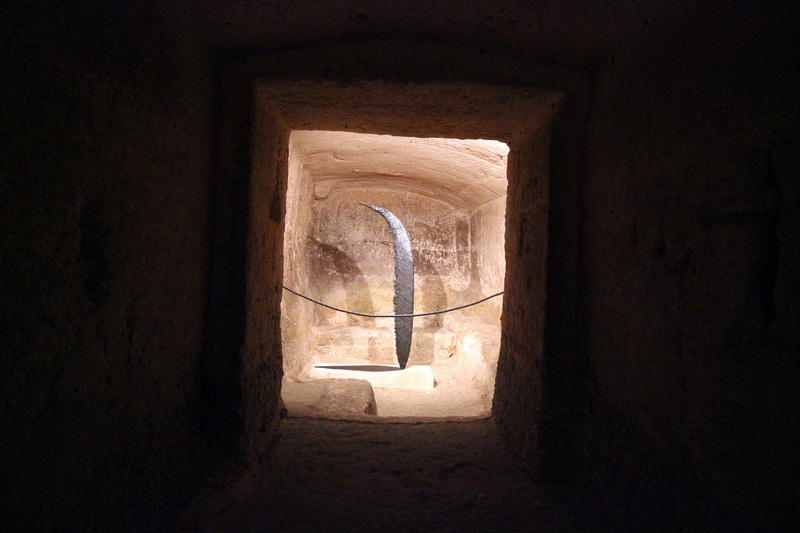 There is clear evidence of this from the millstone present, a large wine-press with fittings and the typical types of walls that were used for keeping wine barrels.